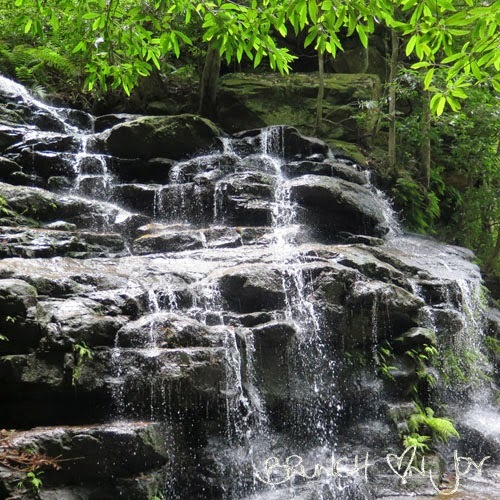 Who would think a four hour bush walk in the Blue Mountains was a good idea? I wasn't too sure but I did think that a stop over for breakfast was a great idea. 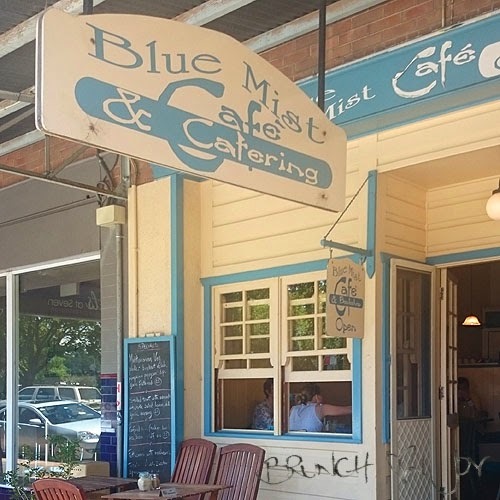 After googling "best breakfast in Wentworth Falls" we ended up at Blue Mist Cafe where I would beg to differ on their random negative reviews. Stepping inside, cute little booths line one wall and wooden tables and chairs are scattered around. They have an all day breakfast menu and the impressive drinks menu has fresh juices, frappes, smoothies and thick shakes all for $6.50 each. On the menu, you have all your breakfasts covered with the "Big breakfast", "The breakfast", "Veggie breakfast", "Spicy breakfast" and "Light breakfast". There is also the usual suspects of eggs benedict, omelette, muesli and pancakes. 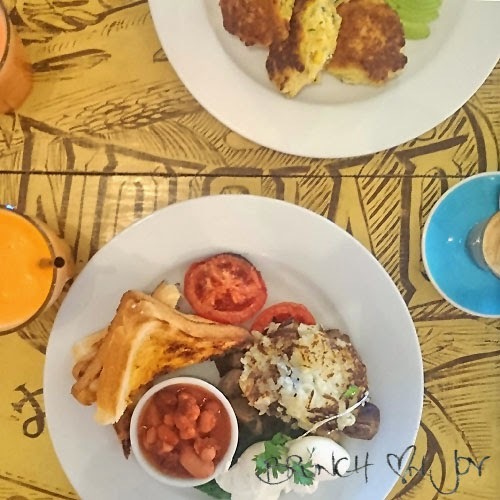 The Veggie breakfast had perfectly poached eggs, mushrooms, tomato, spinach, house made beans, a sad looking potato and zucchini cake and toast. A very country home style breakfast. The light breakfast included avocado, two poached eggs, three basil and corn cakes with a choice of smoked salmon or chorizo. 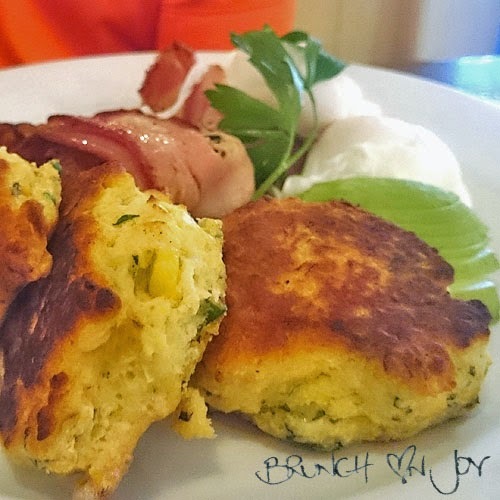 We got bacon instead and the basil and corn cakes were like scones, a different alternative to toast. 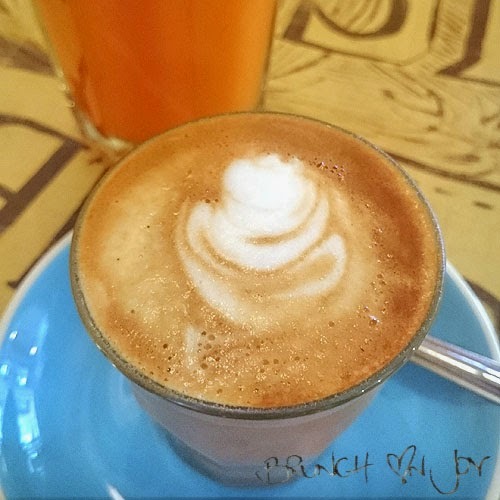 The juices come in a tall glass, fresh and tasty and my little piccolo was nice. I'm not sure about the bad service reviews they have received as I didn't get to experience that at all. The waitress was pleasant and the food and drinks didn't take that long. 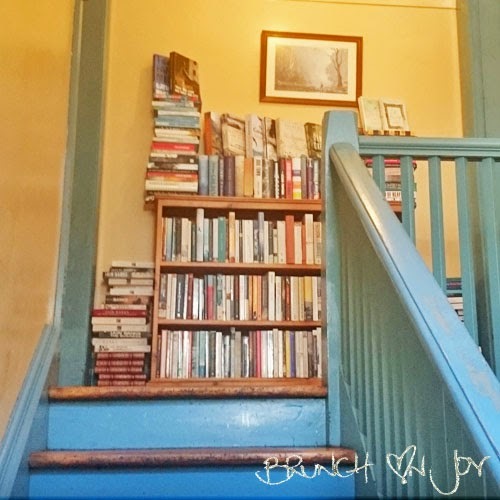 You'll find shelves of second hand books and a lounge upstairs. It seems like a little hidden cove only the locals would know about and there's a bathroom too in case you get lost in a book and need to go. 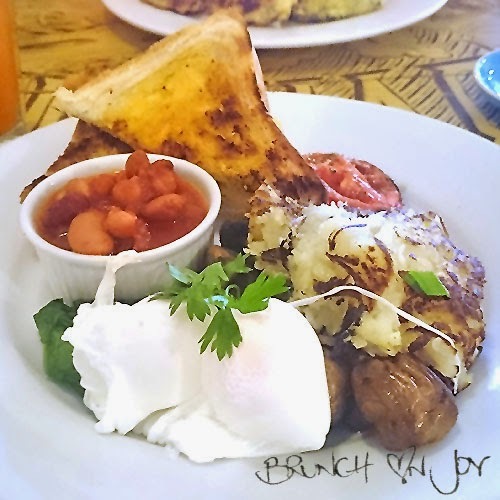 So stopping by Blue Mist Cafe for breakfast wasn't a bad idea at all and neither was the four hour bush walk. I got to see two amazing waterfalls, got caught in the middle of a storm (yes, got totally saturated) and was able to take some amazing photos like this one (no edits, promise! ).